Piano Spheres, the new-music presentation series devoted to showcasing contemporary works for the piano, offers as the opener to its 22nd season a double-barreled send-off, “Two Pianos, Four Hands.” The recital features a world premiere and performances by two leading lights of contemporary music. 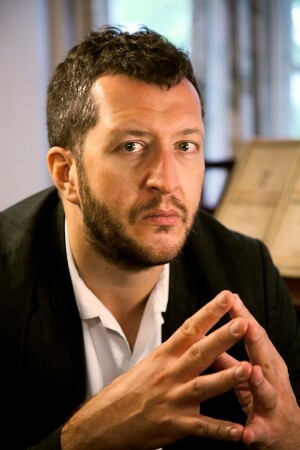 Thomas Ades’s “Concert Paraphrase on on Powder Her Face for Two Pianos, Four Hands,” a commissioned work by music patron Sue Bienkowski for Piano Spheres, will enjoy its world premiere in the September 8 concert at Zipper Hall, one of the city’s most gracious and sound-worthy auditoria. Performing the premiere, and more, will be two celebrated pianists of the modern era: Thomas Adès the work’s composer, joined by piano maestra Gloria Cheng, a frequently presented artist in the Pianospheres series. Pianist Gloria Cheng is an acclaimed and discerning artist whose performances tap the emotional core of contemporary music. 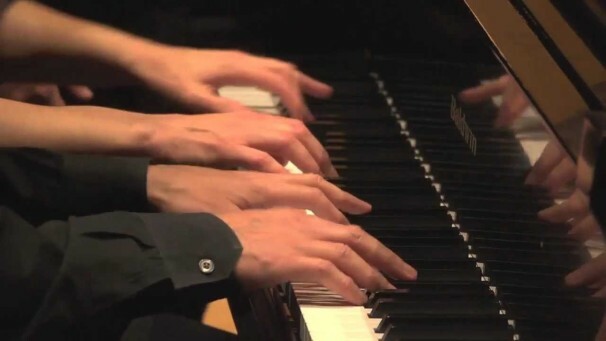 In recitals that explore significant interconnections amongst composers, Cheng has been presented by the Ojai Festival, Chicago Humanities Festival, William Kapell Festival, and the Tanglewood Festival of Contemporary Music. She has appeared on leading concert series including Carnegie Hall’s Making Music, Cal Performances, St. Paul Chamber Orchestra Engine408, Stanford Lively Arts, and at (le) Poisson Rouge. The Piano Sphere program’s rich offerings include other ‘double-loaded’ repertoire. newerOh, Omar. ‘Doctor Zhivago’ on big screen.